When it comes to link-building for search engine optimization, many online marketers make the mistake of running content that has little chance of being published or that will reach only a handful of relevant readers. 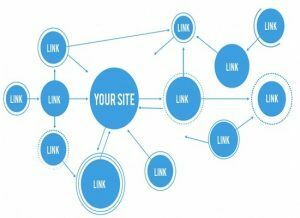 The most effective Web links are naturally obtained links coming from sites that have high readership levels among consumers that are most likely to have an interest in your goods and services as well as the content you have to share. So you need to take care to match your content to the needs of carefully chosen websites that have brand recognition and relatively large levels of readership to help grow your own audience and improve the quality of links to your site. When you want to get your content published on other sites to help improve the quality of your links and get more out of your link-building strategy, you must ensure the content you are offering truly is relevant to the site you want to link to it or publish the article or blog post. That means targeting the sites that are most relevant to your marketing goals and then learn more about its visitors so that you can create content those site visitors will find compelling and actually read. Learning about the demographics of such a site, including whether it gets more men or women or has a balance of both, ages and most importantly — their interests. When you have goods or services that are within the range of interests of the visitors to high-profile and highly trafficked sites, the opportunity for generating high-quality links with relevant content is very profound. Getting even one or two articles or other posts to appear on the tops sites within a particular industry or interest range will help to drive more traffic to your own site and improve the quality of links as well. What kind of content and sites do you target when building site links?